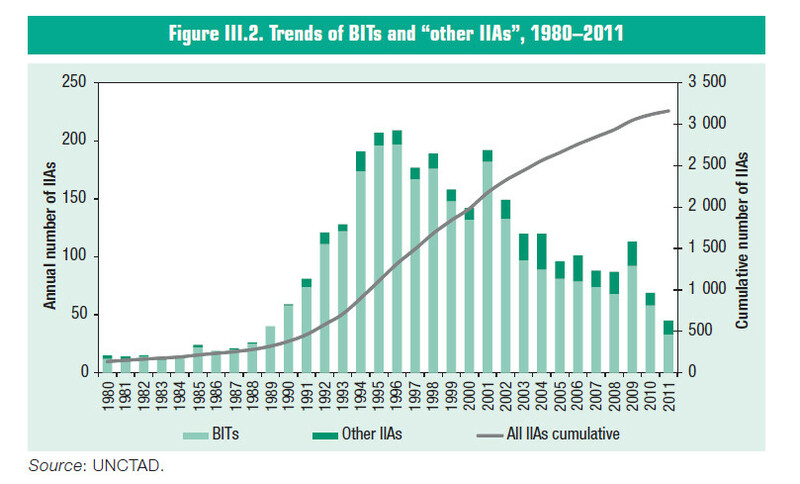 Over the last several decades, countries around the world have signed up for over 3,000 bilateral investment treaties (BITs). … and of merits awards. These deals can constitute a limitation on governments’ ability to regulate, so one would think that sovereignty-protective governments might resist them. Yet they keep signing up. Why? Observers have offered a few theories. The first is essentially macroeconomic in nature: investment treaties increase foreign direct investment, and thus boost economic growth. A second line of argument is microeconomic: investment treaties improve efficiency. Australian scholar (at LSE) Jonathan Bonnitcha is one of the foremost experts on this line of argument. Firms will invest/produce more when their private marginal benefit (say, in a given country) meets or exceeds their private marginal cost. The consumers of their product take into account social as well as private benefits and costs. Problems arise when the private producer and social costs don’t align. When there are negative externalities (like pollution), firms overinvest. When there are positive externalities (like benefits to production that don’t accrue to the firm but to society at large), firms underinvest, below the efficient level. BITs can help promote efficiency if they can force governments or companies to “internalize” these externalities. Firms may underinvest if inefficient government regulation gets in the way, and may overinvest if efficient government regulation is chilled out of existence. Put differently, BITs may improve efficiency if they constrain inefficient regulation (by imposing compensation costs through ISDR), and may worsen efficiency if they chill good regulation. As this last point makes clear, BITs could actually reduce efficiency under standard microeconomic thought exercises. Moreover, many of the “problems” that BITs solve might be better solved through contracts (as Jason Yackee has written) or political risk insurance (as Lauge Poulsen has written). A third type of argument is essentially normative in nature: investors deserve to access justice at a low cost to themselves. National courts may be slow or corrupt, and neutral independent international adjudication helps remedy that. However, as Van Harten has noted, in its extreme form, this is an argument against national judiciaries full stop. And it fails to address the unfairness that exists from having a system that foreign multinationals can access, but which is closed to environmental groups and domestic firms. (Bonnitcha has moreover argued that this “reverse discrimination” against national firms could actually be efficiency reducing, if national firms are more competitive.) 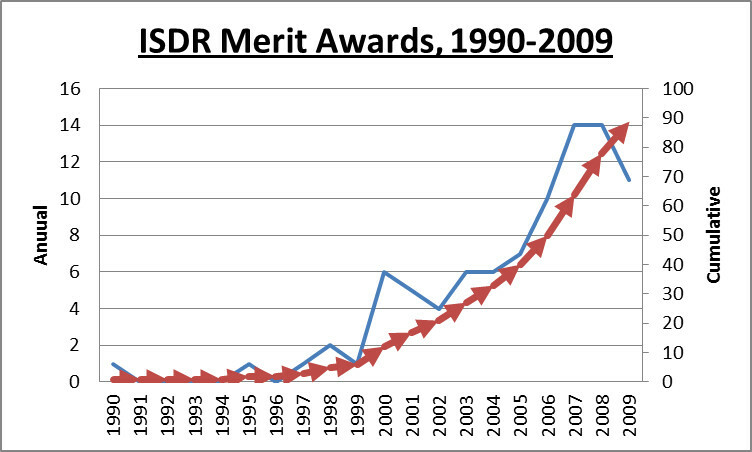 Moreover, ISDR lacks fundamental safeguards of fairness and independence in judging, such as security of tenure. 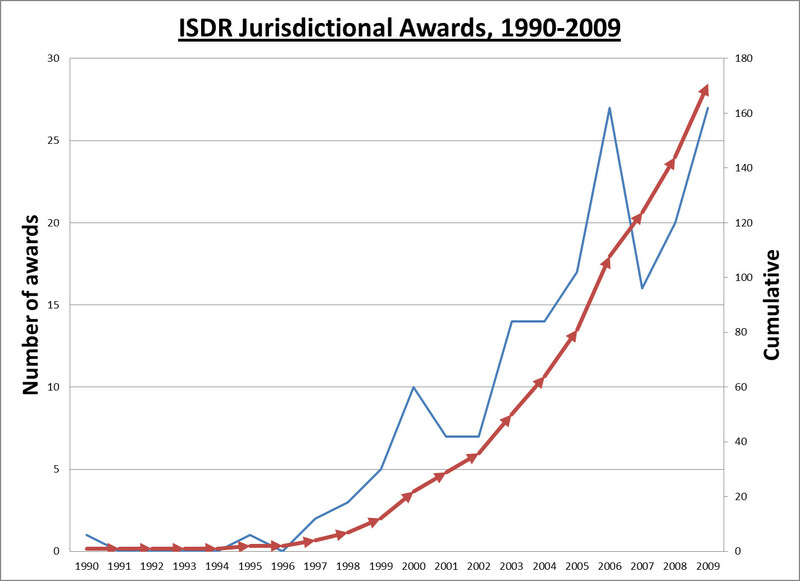 If ISDR doesn’t promote growth, efficiency or justice, why does it exist? Some have argued that, by defending BITs, we defend sovereignty and democracy. After all, national policymakers signed off on them, and it smacks of paternalism to now question their decision. Laura Collinson has outlined a case study of Argentina to argue that countries sign inefficient, detrimental BITs because of a combination of global power politics, competition for capital with their trading partners, and because national business groups and/or government (who are winners from BITs) can impose the costs on the rest of the country. I would wager that, outside of the ISDR world, the political arguments make intuitive sense. Many of the explanations make problematic assumptions about the nature of the modern state. It seems folly to suggest that governmental actors could ever be modeled as rational agents (and firms probably can’t either, at least fully). States don’t fit into standard micro models because they don’t bear costs or accrue benefits. Even corrupt governments don’t face cost functions in the same sense as firms. Even the more political theories have adopted an economistic rhetoric that suggest that a cost-benefit analysis can be drawn up for a country as a whole (even if this is supplemented with more attention to within-country distribution of political power). So, what’s the right method for answering the question of why BITs are signed? Endless in depth case studies? Would that in itself be Pareto inefficient? It would certainly be painful and time-consuming, which is probably why few scholars attempt it. But it does seem that, until we can inform studies of BITs with a sounder theory of the state (and actual empirical evidence), our understanding of BITs will suffer. This reminds me of the various theories about trade agreements. In contrast with BITs (there are some debates about the economic theoretical aspects), trade agreements are supposed to promote economic efficiency. The problem is also that why nations need trade agreement if these agreements generally benefit them. Political economy is the most powerful theory for explaining the existence of trade agreements, just the same as BITs which I tend to support the political explanation.